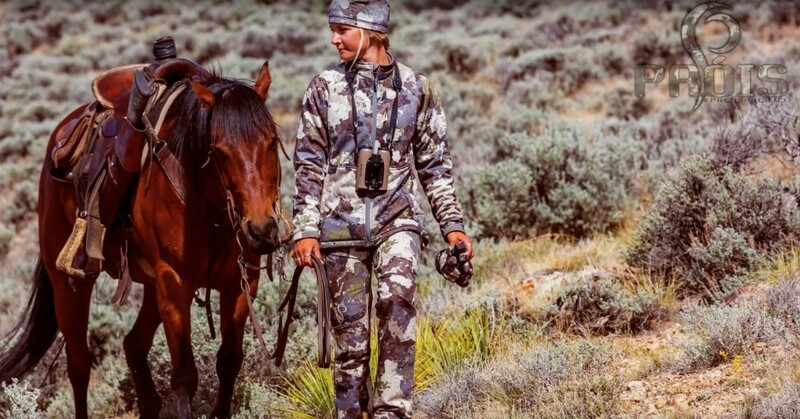 Próis, a premier maker of high-performance hunting apparel for women, is celebrating 10 years in business in 2018 with the introduction of the new Torai Jacket and Pants in the all new Cumbre camo. Strikingly designed for outstanding fit and function for female hunters, the mid-weight Torai apparel delivers on form, function and design. Both the Torai Jacket and Pants feature 88 percent polyester and 12 percent spandex for long-lasting wear and comfortable fit and feel. Water-resistant and built to withstand the elements, the four-way stretch fabric is still pliable and provides for full range of motion. The Torai Jacket and Pants have an athletic yet roomy cut to accommodate layering and mobility. The Torai Midweight Jacket ($180) is lined with fleece for additional warmth. The arms are lined with polyester ripstop for easy layering. Articulated elbows make for an ergonomically correct fit, and lycra interior cuffs are soft and quiet. The jacket also has deep hand and chest pockets for gear, as well as zippers strategically located in the armpits for ventilation. The Torai Midweight Pants ($160) are lined with microfleece for warmth without added bulk and also have numerous deep set pockets. The waistband sits at a natural waist and has been designed with additional room through the rear, hips and thighs for a proper fit. A hidden elastic adjustable waistband means the pants fit comfortably. Articulated and reinforced knees ensure season after season durability, and a side boot zip makes for ease of use with your footwear. Torai Midweight Jacket and Pants feature the new Cumbre camo pattern. Cumbre translated means “above the rest,” and that is what the team set out to create. Próis worked closely with Veil Camo to develop the pattern with a diverse western landscape in mind, while also utilizing colorations that provide excellent concealment in all regions. Próis/Veil Cumbre contains both macro disruption and textural disruption strategies that come together in one of the most aggressive, high-functioning and visually distinctive patterns available. The color palette is a careful combination of tones pulled directly from the environment and used in a calculated balance that ensures maximum performance. The blends of browns, grays, greens and tans are carefully synchronized to create disruption that works in open space as well as deep timber. Próis has been a leader in women’s technical hunting gear since 2008. All Próis gear is engineered expressly for women and the company utilizes only the most top-rated performance fabrics to provide wind-stopping, wicking, waterproofing, silence and thermoregulation. The company’s out-of-the-box thinking has resulted in award-winning designs that have raised the bar for women’s outdoor apparel. For more information, visit www.proishunting.com.